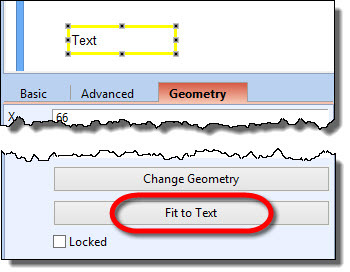 Left, right, or center alignment. 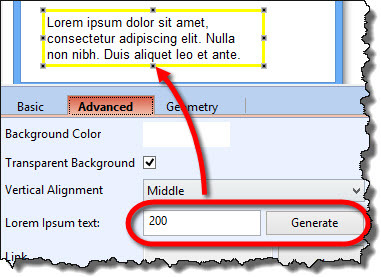 Some widgets (such as tables, for example) contain multiple text areas; these are formatted separately via property panel. 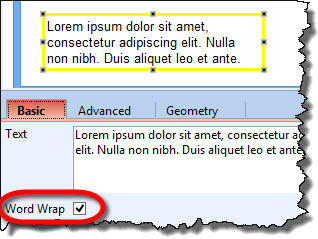 In property panel, select a part of the text you want to format. 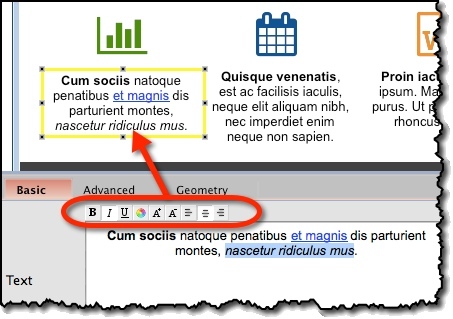 Apply formatting by using the mini-toolbar on the top of the property panel. By default, it’s turned on.